Challenges are many for the real estate investor in Phoenix, Arizona. Some of them are not particularly different from what is happening on a national scale. The millennials have not proven, so far, to be a good generation for the real estate market, since most are postponing the important changes in life,such as, marriage, kids, and buying a home. They have a very strong reason, too; they do not have their parents’ highly paid jobs, and they often do not know what to do with their college degrees. Since real estate agents know that convincing millennials to purchase a new home is a very taxing and fruitless endeavor, they prefer concentrating still on boomers. Although the latter are already in their 50s and 60s, they are still more likely to make such an investment, than the younger generations. It is nothing unusual for boomers to now become urban dwellers. Since the suburban housing dream had gone down the drain, people prefer areas close to shopping venues, restaurants and other urban facilities, even if they are close to retirement. Seattle or Portland may be heavens for hipsters, but Phoenix is not the same. The urban population in Phoenix gets older and older, as these inhabitants prefer to purchase a home close to all the amenities mentioned above, instead of having to drive for several of miles to get to get to there destination. 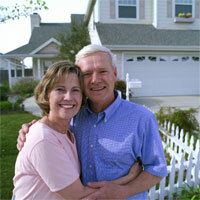 Even more, boomers from other parts of the country prefer coming to Phoenix and purchasing properties here. Because Phoenix is not as crowded and polluted as other bigger cities, for this category of buyers, moving here is like moving to a quieter area, where they can spend their retirement years. Since the new trend has not gone unnoticed by real estate developers, they are now adjusting their plans according to the profile of their potential buyers. Retirement areas have always been present in the Phoenix’s real estate landscape, with Sun City and Paradise Valley on top of the list. However, these areas are bound to expand, with the growing interest manifested by retirees from other states. New development efforts are underway in Scottsdale, Litchfield Park and northeast Phoenix. The new projects are designed to appeal to downsizing boomers and they are geared towards addressing the needs of all those who want out of suburban areas. Smaller condos and homes are erected, as a result, since boomers no longer have the need to accommodate their sons and daughters. Still, the need for more luxurious properties is on the rise, since at least some of these buyers prefer living comfortably during their late years. For many millennials, their own parents have provided an unexpected cautionary tale. Now, convincing the millennial to give up a portion of their earnings to pay a mortgage, is a difficult battle for real estate agents. However, the main reason why few millennials are purchasing homes is that the latter prefer dealing with affluent boomers who have the money and more motivation to purchase a new property.